Heart disease can be lethal for people with diabetes—but it doesn't have to be. 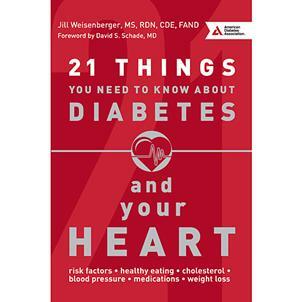 21 Things You Need to Know About Diabetes and Your Heart offers clear and practical steps for preventing heart disease. Learn how to live a healthier life through diet, weight management, exercise, and education. Every chapter gives specific actions you can take to improve your health today. I read this book to find a good resource for my cardiac rehab patients with diabetes. What I found is an incredible resource for anyone with cardiovascular disease, diabetes, or at personal risk for either or both of these. 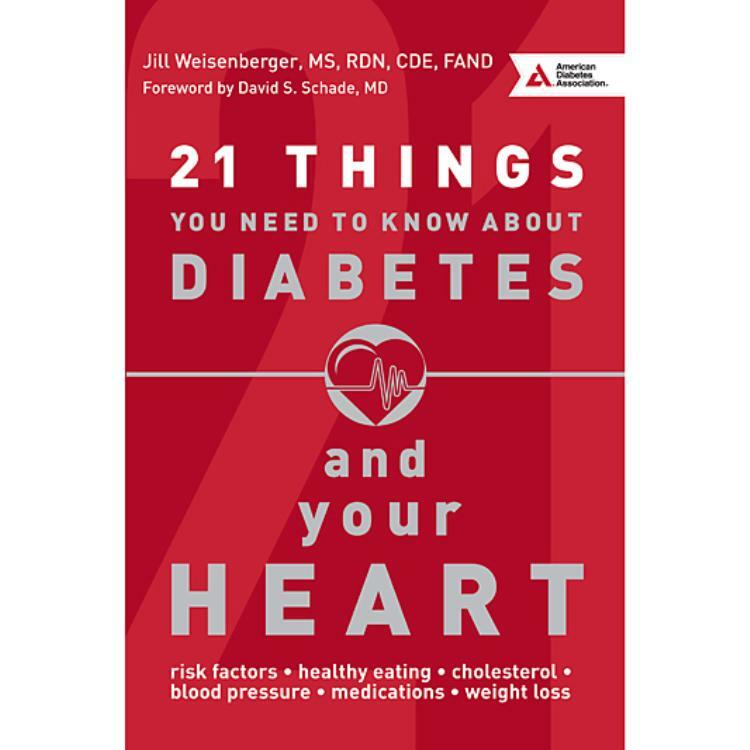 Jill has eloquently reviewed and explained the medical aspects of diabetes and its relationship with heart disease in terms anyone can understand. Her review of the DASH diet, the most recent guidelines involving saturated fat intake, and the basics for beginning to adapt a healthier diet are spot on. Is there more info? Yes and she tells you where to go get it. I really like the resources to help one dive further and she urges one to seek the assistance from their health care provider or registered dietitian. The inclusion of chapters on behavioural guidelines, smoking, supplements, medications and stress make this a most comprehensive resource for anyone with diabetes, heart disease or just the desire to begin a healthier lifestyle.